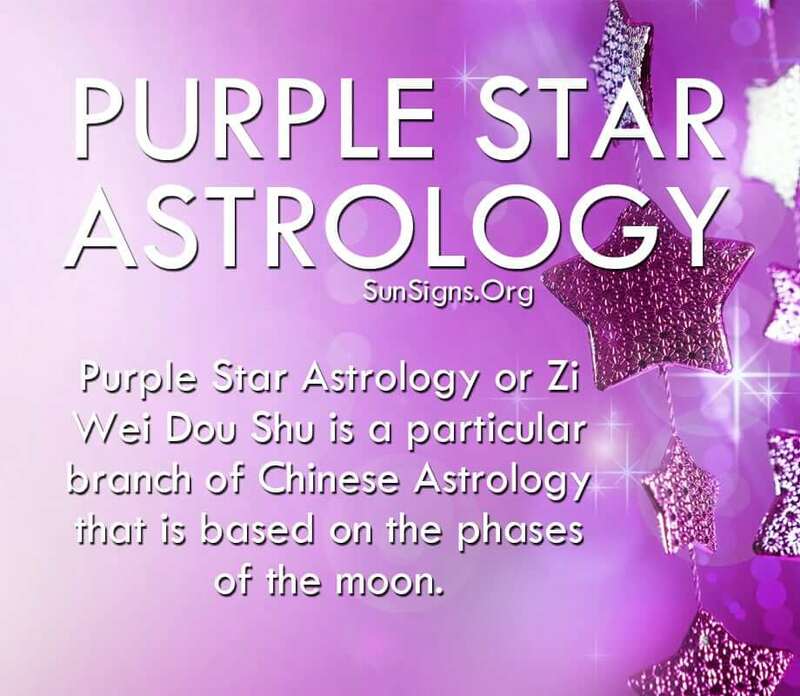 This astrology calculator of the Purple Star Astrology or originally called Zi Wei Do Shu is a particular branch of Chinese Astrology that is based on the phases of the moon in the lunar calendar. Purple Star Astrology is a Chinese astrology system that predicts a person’s entire personality and also can predict the relationship a person will have when it comes to their choice of a profession or the point to the most ideal profession. How one deals with the issue of money and all material wealth can be analyzed. The health of the body and relationship to friends, neighbors, co-workers, husband or wife and children is also part of the star sign analysis. There is also a report on how a person reacts to the 12 places in life. The calculations are done not only by the day month and year of birth but are calculated by the time of birth as well. With this Purple Star Chinese astrology reading you can even discover the personality traits that will belong to a future child of the year 2015 or later. It was during the Sung dynasty between the years 980 – 1280 A.D that the origin of Purple Star Astrology can be traced back to. It was the great Chen Hsi Ee, who studied extensively this branch of astrology. He was the one known to perfect it over time and with his sincere devotion to the study of the personality in relation to the planets and stars in the sky. There are over 100 stars in this system but only 30-40 of them play the most importance in predicting the personality of a person. The 12 places that the stars are distributed are Life, Sibling, Spouse, Children, Wealth, Health, Travel, Friends, Profession, Property, Enjoyment and Parent. Depending on the angle of the stars, some places of life hold greater importance and have stronger effects up the individual. The Purple Star Astrology involves calculations that are extremely complex and specific which is why it takes many years to master it. With this easy calculator you can start to find the meanings of your life.